A lot of people who have ADHD take medication to help them manage their symptoms and that’s perfectly fine. But others prefer to use natural methods and that’s OK too. Before I begin my list of 8 natural ways to help your ADHD symptoms, let me just say a few things in general. Natural methods such as herbs and essential oils will likely have a more subtle effect on you than a prescription medication. You also have to be aware that in the case of herbs in particular, it is possible that you will not get the same true dosage each time. The age of the formulation, the health of the plant when it was harvested, the extraction method, if any, and the quality of the product in general – which reflects back on the manufacturer – all play a part in how accurate of a dosage you are getting. Therefore you might get differing results even from the same herbal product. Buy a reputable product from a reputable source and make sure it’s organic. 1. Sleep! I say this knowing that I am guilty of this as well, but you really need to stop with the night owl behavior and get to bed at a reasonable time. I get why you do it. As I said, I do it myself. But the truth is that getting a good night’s sleep is one of the most effective things that you can do to help manage your ADHD symptoms. 2. Eat well. If you feel so strongly about not putting chemicals in your body to control your ADHD symptoms, then why are you hitting the drive through or buying processed food to put into your body? Fresh produce – organic if you can – lean cuts of meat and just food with ingredients that you can pronounce are better for you. 3. Exercise. I know you must hate to hear this one, but it’s been proven that 20-30 minutes of exercise can help you stay focused and clear headed for as much as 24 hours. Come on. You can do something for 20 minutes, can’t you? 4. Herbs. 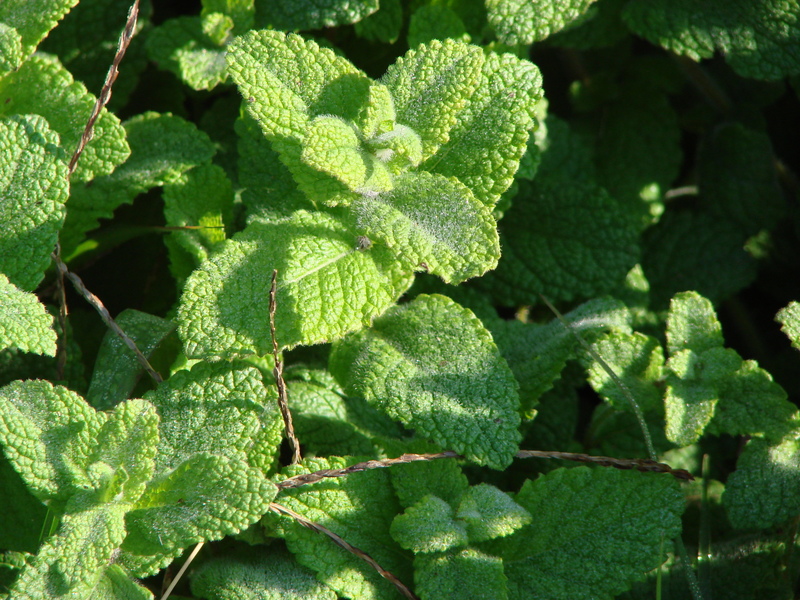 Individual herbs – as opposed to an herbal blend – usually target one symptom. Lemon balm and chamomile are good for calming. Valerian root is stinky, but brings out the big guns when it comes to anxiety or sleep. Passion flower is also effective for calming and sleep, especially when taken with valerian root. Do a search on ADD Moms for herbs to find out more. The box is on the right sidebar near the bottom. 5. Herbal blends. Herbal blends combine several herbs to enhance effectiveness. Most targeted for ADHD focus on calming and hyperactivity. Be sure to check the label. Also check ADD Moms for reviews of herbal blends such as NuroFocus and MitoQ. 6. Essential oils. Essential oils are a big thing right now with lots of companies getting on the band wagon. I personally use (and sell) DoTerra oils. I use them (and have for a year or more) because they are of the highest quality and they work. Balance, Serenity, and InTune are all essential oil blends that can help with ADHD symptoms such as anxiety, focus, and attention. I especially recommend InTune. 7. Meditation. Meditation can greatly help ADHD symptoms by teaching you how to quiet your mind and focus. It is a simple practice that can also be very difficult to learn, especially when you have ADHD. At one point in my life, I became very masterful at meditating and found it to be very beneficial. Lately I’ve adopted the practice again. I don’t know why I stopped. I find that guided or visual meditations are most helpful for those of us with ADHD. 8. Yoga. Studies have shown that practicing yoga can be very beneficial for ADHD symptoms, especially quieting the mind, relieving anxiety, and learning to focus. Even studies done on children have shown remarkable results. Join a class (most helpful) or find a website, book, or tape to help you learn. The important thing is to make it a regular practice. There you have it; 8 ways to manage ADHD symptoms naturally. And even if you didn’t have ADHD – or you take medication for it – these are all helpful, beneficial practices that can do nothing but improve your health and your life. Hello Joan from the USA! Thank you so much for your comments! I’d be interested in knowing more about how diet affects females vs males. Consider a guest post? Off to check out your site!